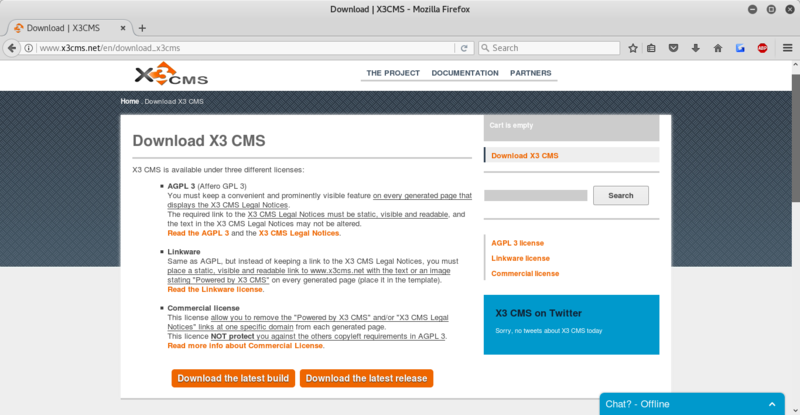 Step 1: Download the latest release of the X3 CMS. 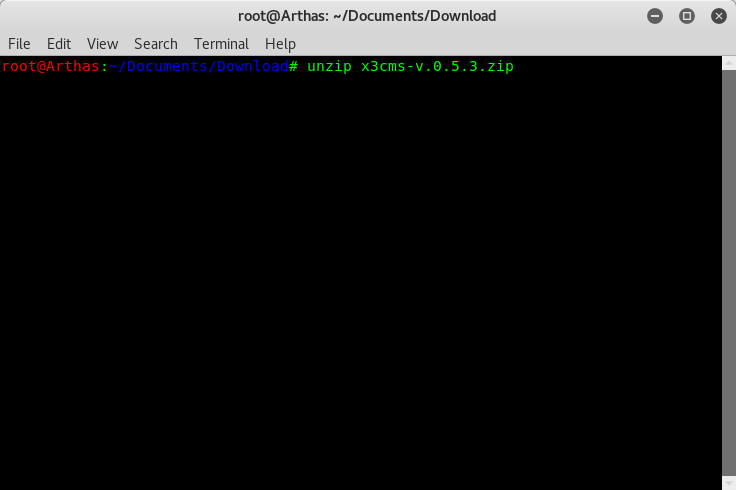 Step 2: Unzip the compressed file into a folder. 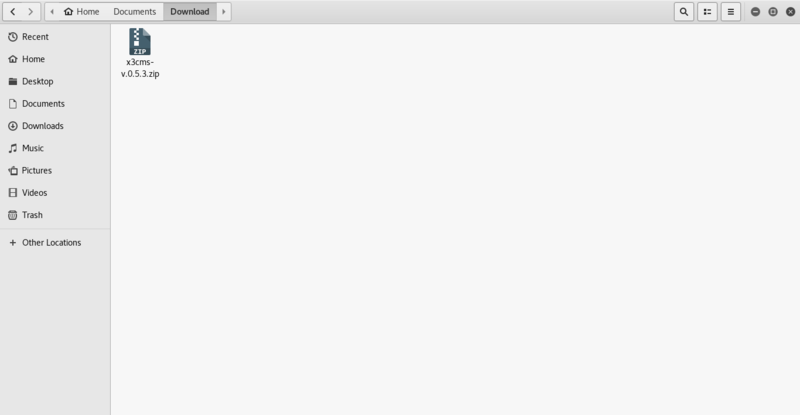 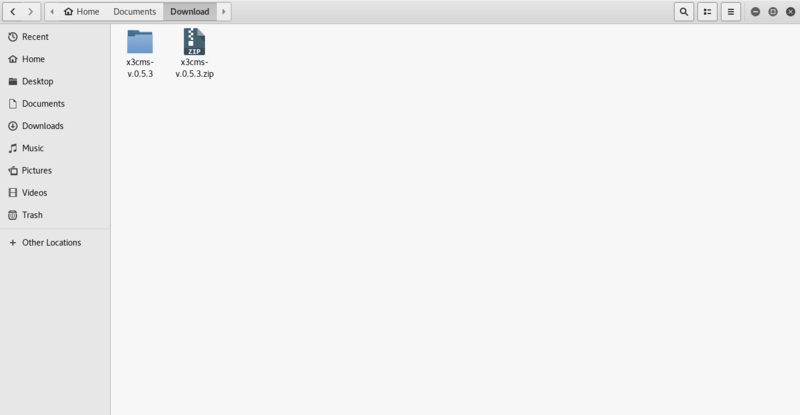 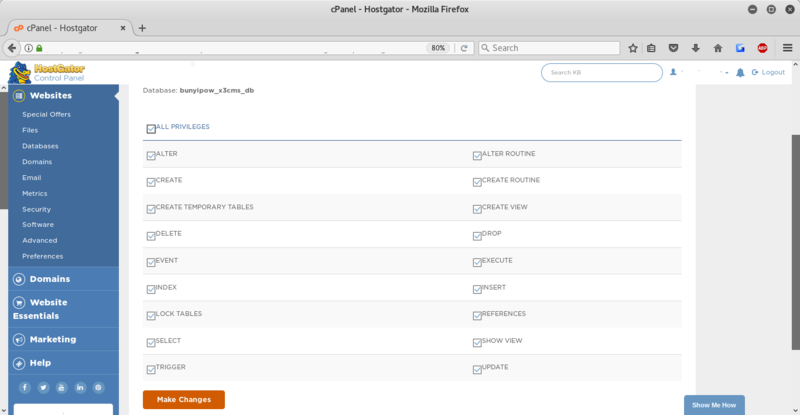 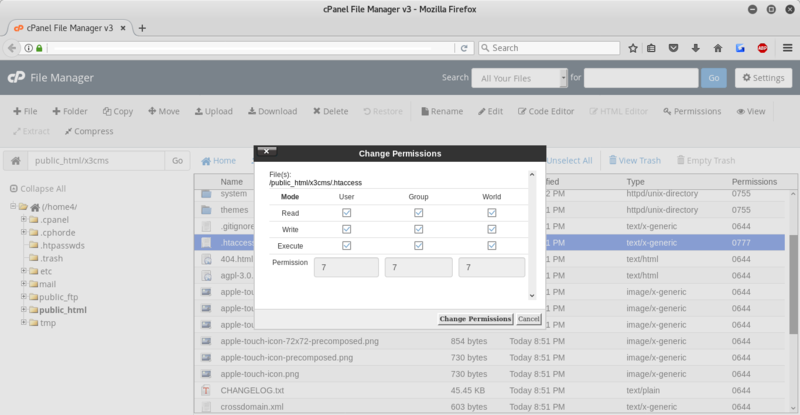 Step 3: Upload the unzipped folder to your webspace using your favourite FTP client. 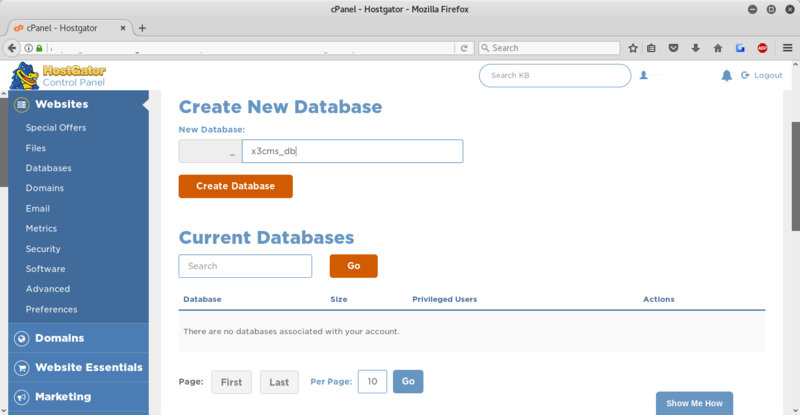 Step 4: Create a new Database for the CMS (done here through cPanel). 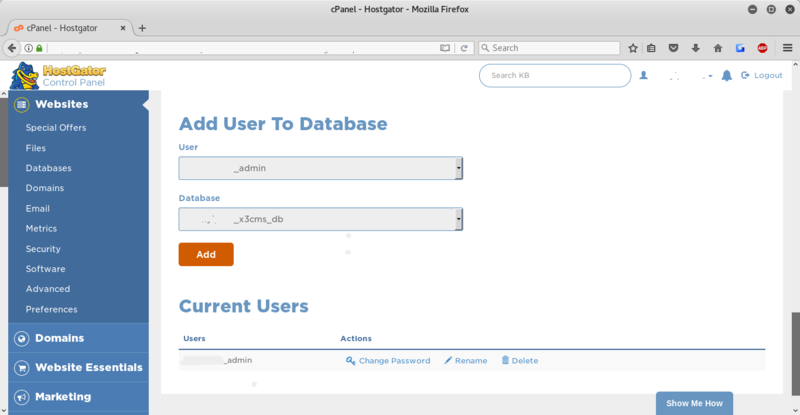 Step 5: Create a new Database user. 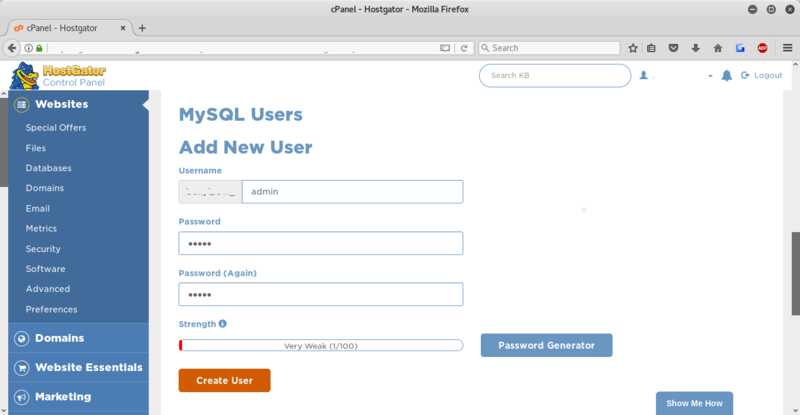 Step 6: Add the new user to the Database you created. 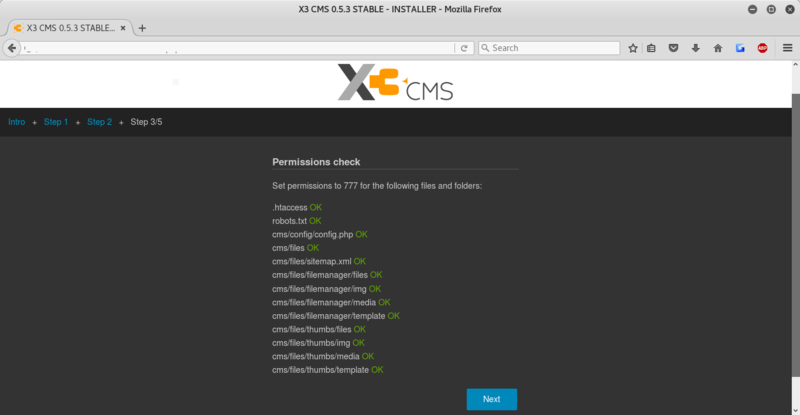 Step 7: Make sure to give full permissions to the user. 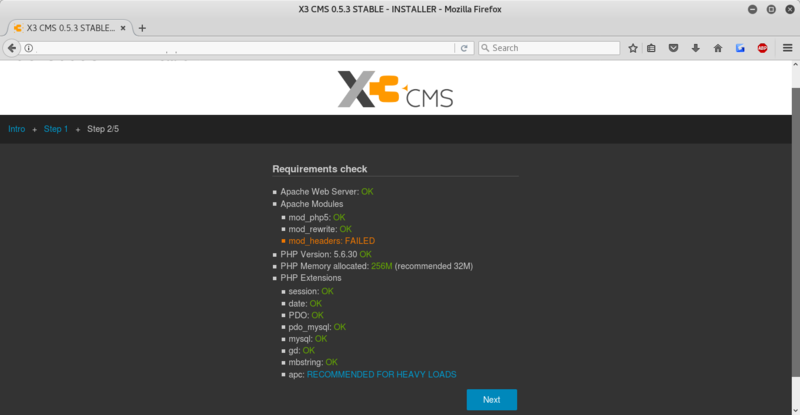 Step 9: Load website and follow installation instructions. 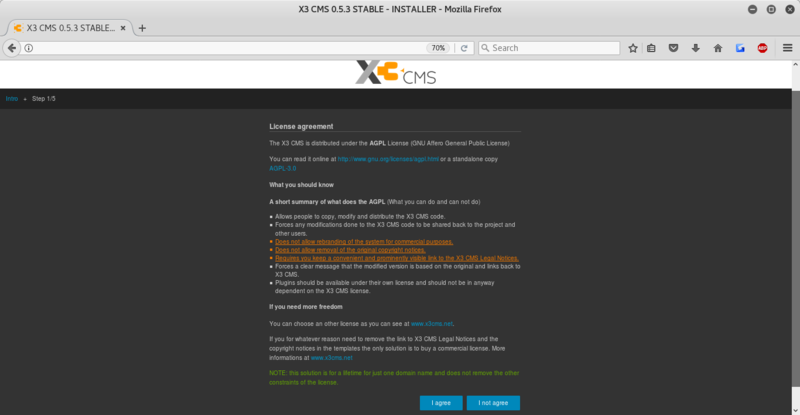 Step 9.1: Accept License Agreement. 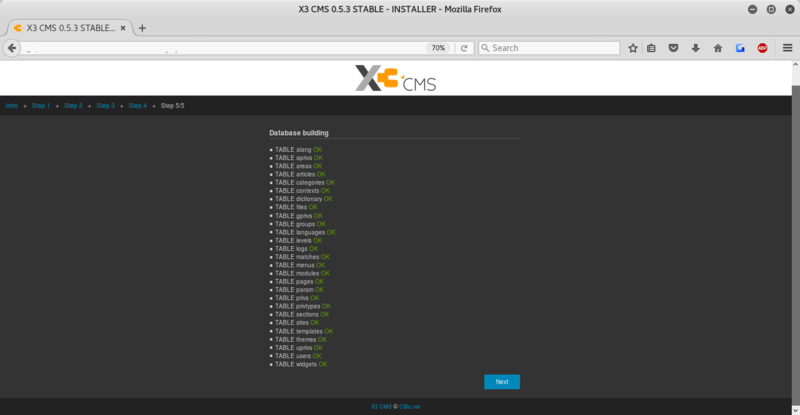 Step 9.6: Installation Complete. 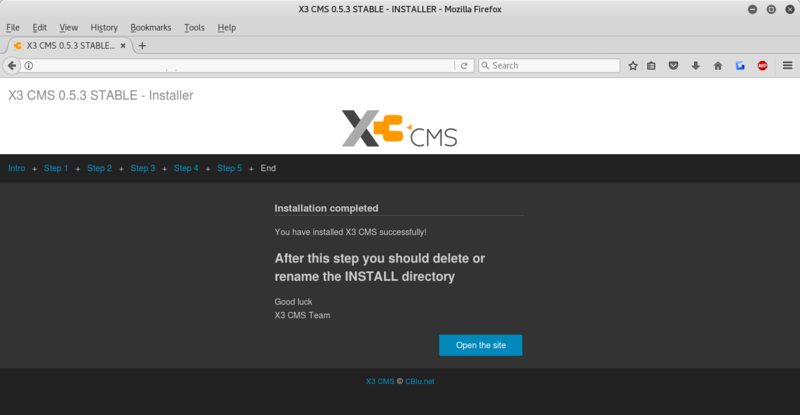 You will need to either delete or rename the INSTALL directory. 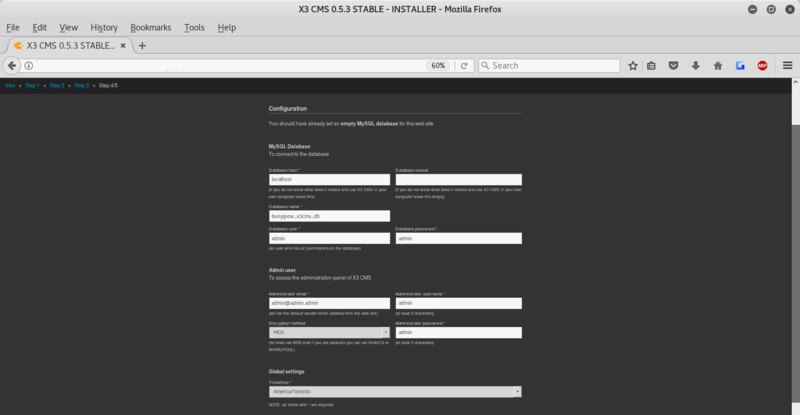 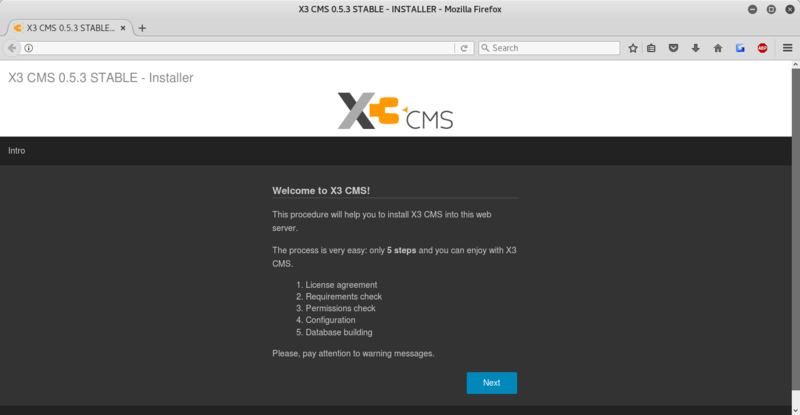 Step 10: X3 CMS is now installed on your website. 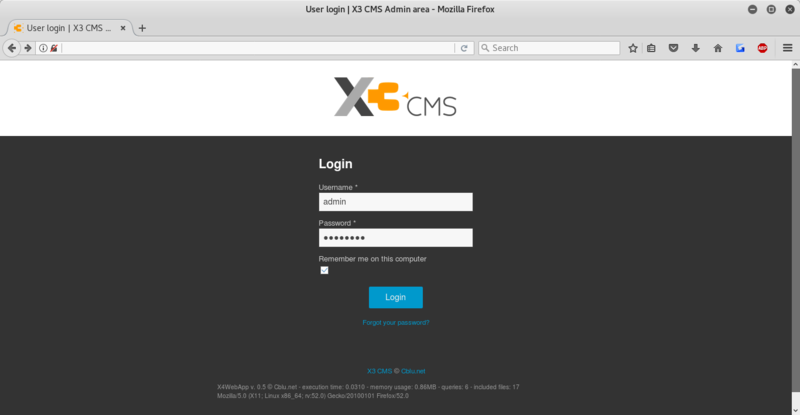 Step 11: Access [website]/admin for the Admin Login panel. 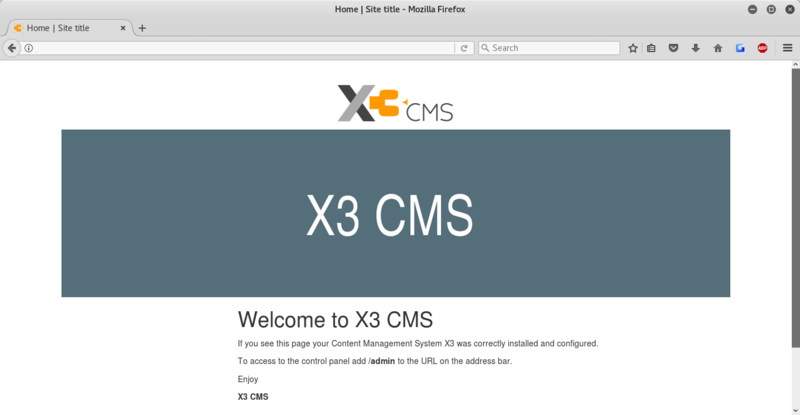 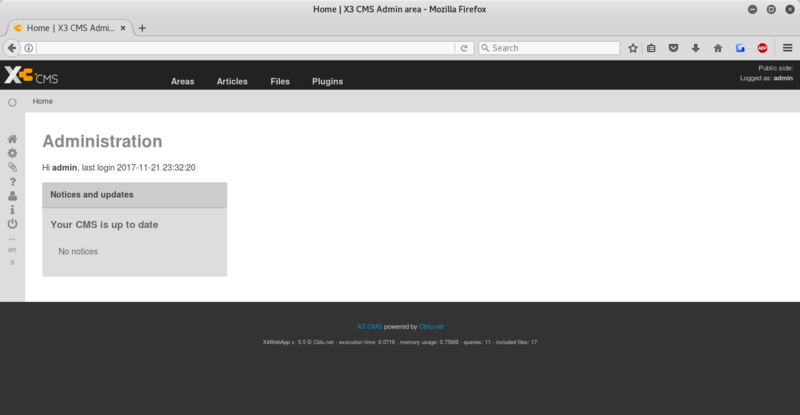 Step 12: You can now work on your site using X3 CMS.